Chances are good that you have not heard of Rita Engedalen, but probably only because she is a continent away from you. She has been called Norway’s Queen of the Blues, and with good reason; Rita has released 4 well-received CDs and even earned a Norwegian Grammy award for her 2006 album. With her latest release, Chapels and Bars, she has another winner on her hands; after a few listens I could not find any songs that I did not like, and had at least 3 of them stuck firmly in my head. This is not strictly a blues album, but more of a compilation of different southern and Appalachian folk music styles. I hear delta blues, pop, gospel, soul and even some southern rock. This is no problem for Rita as she is the real deal and has the voice, emotion and soul to carry tunes from all of these genres. Her band members and guest musicians also prove to be very talented, with some fabulous guitar picking, and appropriate amounts of mountain fiddle and mouth harp applied only where necessary. She also has solid songwriting skills, and wrote the lyrics and music for nine of the twelve tracks on Chapels and Bars. Her original works have personal themes to them that bring them home to the listener, and are truly blues lyrics, even if they are not all blues melodies. This is probably a good time to mention that though she is Norwegian, the songs are all performed in English. The album kicks off with “Chapels and Bars”, which was a great choice as it is one of the best tracks on the album with a tight delta blues groove and plenty of driving steel guitar. Plus I can relate as I have spent plenty of time in chapels and bars. “My Hill Country Blues” is one of the most mainstream tunes on the album, and could almost be a pop or country radio hit. 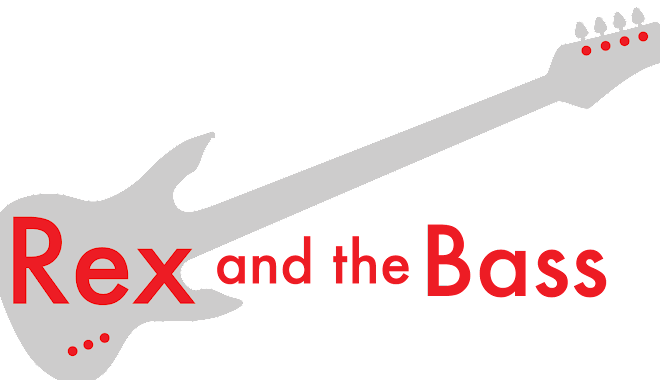 It is a southern rock at its best with tight drums and Creedence Clearwater-inspired guitars. This is rock and roll, baby. By the way, I heard my 10-year old son singing this song after we got out of the car yesterday, and saying “Mississippuh” just like Rita. That is how catchy this tune is. And Rita Engedalen just keeps rolling from there. “Sara’s Kitchen” dives back into Mississippi blues, “Last Talk” is a sweet ballad (every album needs one), and “Holy Land” provides a little gospel choir. All of these original tunes provide a little something different for the listener, and are not the least bit boring or tedious. 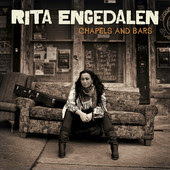 Chapels and Bars also includes three cover tunes: Jessie Mae Hemphill’s “Lord I Feel Better”, Irma Thomas’s “Don’t Mess with My Man” and Big Mama Thornton’s “Ball and Chain”. Not only are these three very good songs, but they also honor the pioneers of the fantastic womens’ blues music that we enjoy today. “Ball and Chain” is an ambitious song to tackle, and I feel that Rita’s strong and deep voice outshines Thornton, but still cannot top Janis Joplin’s cover. There is no shame in that; she has chosen a strong crowd to run with and can hold her own. As I said, there are many different types of music on Chapels and Bars, but do not think that it does not hold up well as an album. The songs are all well-written with solid musicianship, and Rita Engedalen’s unique and beautiful voice brings all of the songs together into a single entity that is a pleasure to listen to. I am confident that if you check out Rita’s music you will be impressed too.